A lot of people will probably be aware of BADLAND before it ventured onto the Xbox One because of its huge success on the tablet platform. I am not one of those people, so I came into BADLAND with no expectations what-so-ever. 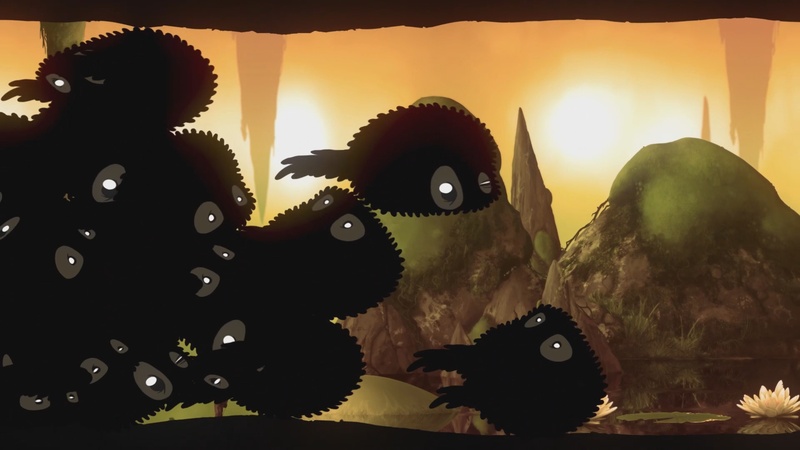 BADLAND is described as a side scrolling adventure with physics based gameplay. You control a bat like creature called Clony. Clony has the unique ability to create clones of himself by picking up clone power-ups during the levels and without them, you wont be surviving long at all. You are tasked with getting Clony and as many of his clones through each level alive. Save as many as you can. You control Clony by tapping or holding the ‘A’ button by making him fly. If you let go of the A button, Clony descends. It took me a while to get used to the physics of the flying but once you’ve got it down the controls work really well giving you a surprising amount of precision, which is definitely needed later on. This really gave it a flappy bird feel with some of the obstacles, but the flying similarities is where it ends. The single player element to the game has 100 levels to fly through and they are split up into 4 sections, Day I, Daydream, Day II and Doomsday. Each level has an element of danger involved for Clony to avoid. These dangers range from falling rocks to dangerous traps. To help get Clony through the traps, the clone power-up is essential. For the majority of traps you’re only going to be able to make it through alive by sacrificing a large number of your clones. There are many instances in the game where you have to go in two or three separate directions to progress. As an example, in one level, there is a part where you have to send clones to press two different buttons so the barriers open for the surviving clones. Cloning isn’t the only power-up littered throughout the levels. Other power-ups in the game that can be picked include ones that slow the level down, speeds it up, increases and decreases Clony’s size. These power-ups play a huge part in the game. If you aren’t paying attention to the upcoming obstacle or trap, there is a big chance you are going to die because you didn’t pick up the relevant power-up. Even from the beginning this is a huge part of the game. You need to increase your size to be big enough to move a stick out of your way, then small enough to fit through a tiny gap. For the most part the necessary power-ups are placed in easy to reach areas as you progress through the levels, but there are times when you have to be choosy with which ones to pick up, especially the speed up ones. 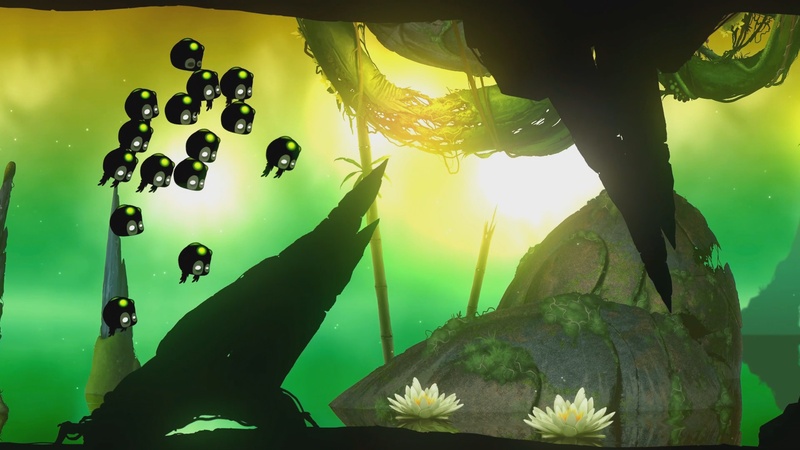 With BADLAND being a side-scroller you get an added urgency to the game. If you take too long to progress through an obstacle or trap, the screen keeps on moving and destroys your clones. No more clones on the screen equals gameover. Dying in BADLAND is a given. You’re going to die and you’re going to die a lot. This is where some of the levels can be extremely frustrating. For the majority of the game, the checkpoints given are pretty generous. If you die from a certain trap, you’ll be placed just before the trap so you can go again. However, there are several levels you have to do in one try. None of the one try levels are long, but some of them are nigh on impossible to finish in one try without a lot of trial and error. One of the latter such levels comes to mind where every obstacle I ended up dying and retrying because I kept going the wrong way. The screen moves so fast in some instances, unless you know where you need to go before you get there, you aren’t going to survive. To add to the frustration level, there are many traps that you can only get through with some pretty precise flying. If you keep your cool throughout playing BADLAND then I salute you. Each level has three missions to complete which usually revolve around dying less than ‘x’ amount of times, saving ‘x’ amount of clones or picking up / not picking up certain power-ups. There are other types of missions, but these make up the majority. Along with these missions being tracked at the end of each level you also have a counter for the number of clones you’ve saved. You can retry each level at any time to try and increase how many clones you saved. Something I found to be a bit strange was the lack of any sort of story to follow. I assumed there would be some sort of cutscene or something just to give the gamers some more information. I was a bit concerned that I would struggle to stay engaged with it and I’d consider it to be more of a time waster that I could pick up and play for 5 minutes. After playing it for several hours I couldn’t have been more wrong. I was pulled in by the stunning art work and visuals. As you can see from the screenshots, the environment you play in and Clony are black, like shadows and it reminded me very much of Limbo. The backdrops of each level are stunning and vibrant, which really offsets against the shadows brilliantly. 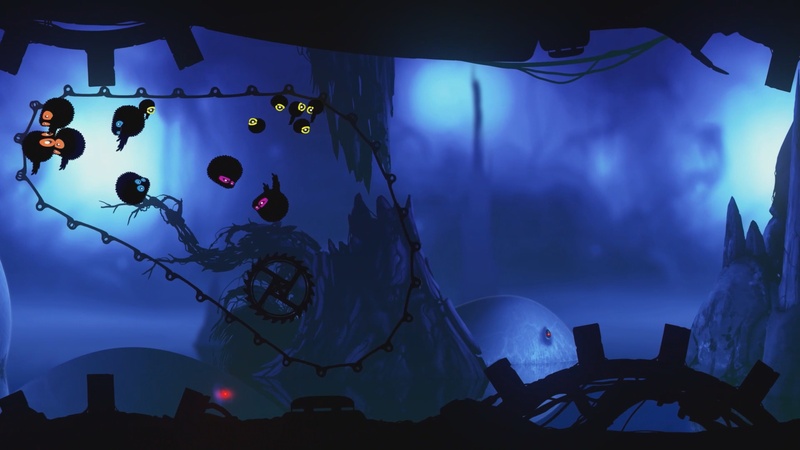 Along with the single player, BADLAND also offers offline co-op and multiplayer modes for up to 4 players. The co-op mode features the same 100 levels from single player but you each control your own character, giving each level a fresh look. At first I was a bit skeptical at having the same levels in co-op, but doing them in co-op completely changes the way the levels play. Co-op play is probably the best mode BADLAND has to offer and it is a real shame there are no online capabilities because a lot of gamers simply don’t have a local co-op partner to enjoy this mode with. The multiplayer pits you against each other rather than working together. It features 27 stages for you to choose from to battle it out. Again, this mode is really entertaining but could have been so much more accessible as an online feature too. Everything is better with friends. Onto the achievements for BADLAND and this list is not one for the feint hearted. You’re going to need to save 3000 clones in single and multiplayer, complete 300 missions in single and muliplayer, completing 80 unique levels without dying as well as doing specific things during certin levels. After finishing all 100 single player levels, I saved roughly 800 clones, so unless you are extremely gifted at this game, you are going to be replaying the levels over and over to increase the amount of clones you have saved. 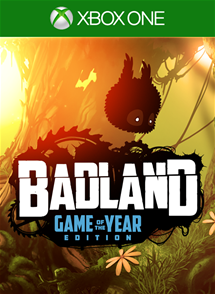 I definitely wouldn’t say to avoid BADLAND because of the achievements list, just be aware of it if you are a completionist, especially if you don’t have anyone to help you out with the local co-op. BADLAND doesn’t really have a story to follow, but that’s okay. The strong physics based gameplay coupled with the beautifully done visuals more than make up for that. Yes, BADLAND will frustrate you and it really does need some online support because, let’s face it, not everyone has a willing buddy or family member to play with. Even taking those issues into account, BADLAND is a great side-scrolling adventure and I can see why it was so popular on the tablet platform. There might be some people moaning that another mobile game has been ported to the Xbox One and it clearly isn’t ‘next gen’, but BADLAND doesn’t play like a mobile game in the slightest. BADLAND adds to the list that gives gamers another example as to why the ID@Xbox program is so important. 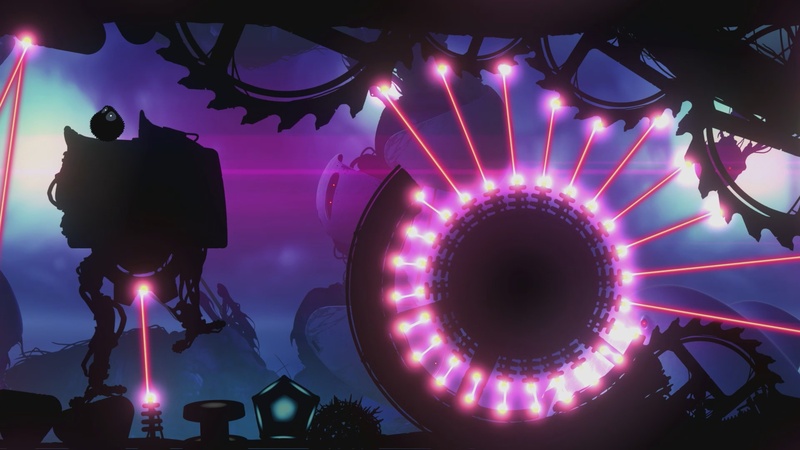 It really is bringing great games to the Xbox community and BADLAND is the latest great game. Alright, so gaming got me through some dark times, which is why it is my passion now. This all started when I was 4. I contracted Meningitis and forgot just about everything I knew. During my recovery, I started playing video games and I haven’t looked back since! I am 26 years old, married and a father of 3. I currently hold the number 1 spot for total Gamerscore in Wales and Gamerscore for Xbox One games in Wales. Posted in Reviews and tagged BADLAND, Reviews, Xbox ONE.